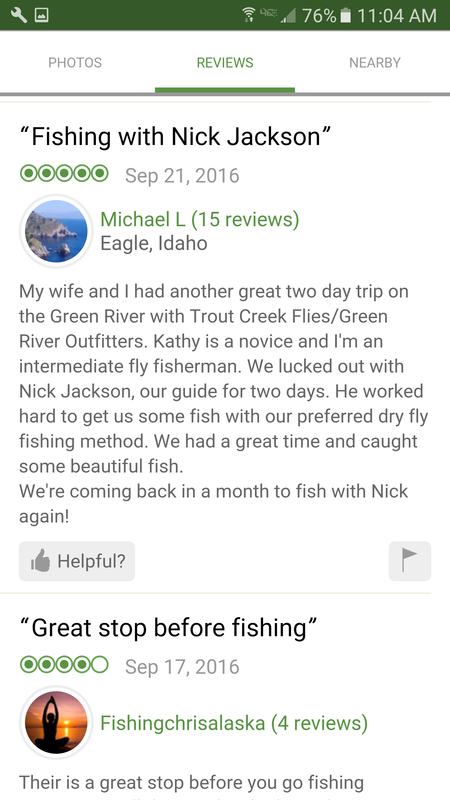 Read below to see what Nick’s clients have to say about their day on the river, also read about him here on Trip Advisor, and here. 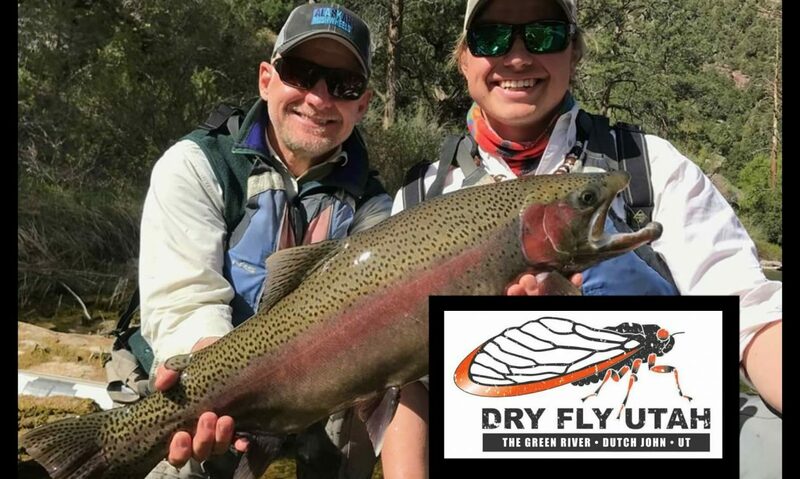 As my friend Brian and I stood next to Nick’s boat in the parking lot of the fly shop I said to Nick we are going to have fun today I hope you do as well. Fun we had. Nick’s expertise on the Green River is exceptional. But doesn’t match his desire to put you on fish. We changed flies frequently to match each section of the river and the fishes desires. He was the consummate coach helping us identify the spots to put our flies. Nick was also patient as I miss managed playing a large brown and it broke off. Like every fish story the big one got away but because of Nick many big ones did not get away. Nick was great and we had a great time! We caught a ton of fish. Saw lots of animals and had a fun time coming down the river! Just want to thank you for lining us up with Nick Jackson. We had a great day with this young man; you pick your proteges wisely……and the cheeseburgers were well received, as usual. Tagged some nice fish with Nick at the oars. And while wade fishing on my own, stuck a few with your fly (midge emerger); that’s it in this brown’s lip. Also, his girl friend, Julie Ann is a lovely young lady as well! We decide to eat at the Flaming Gorge Restaurant as Nick recommended. As we were waiting for our food, another couple came in and was seated at the table next to ours. After a few minutes of looking at us the man leaned over to us and asked who our guide was. We replied with Nick’s name. He said every time we passed him or he passed us Guy was reeling in a fish. 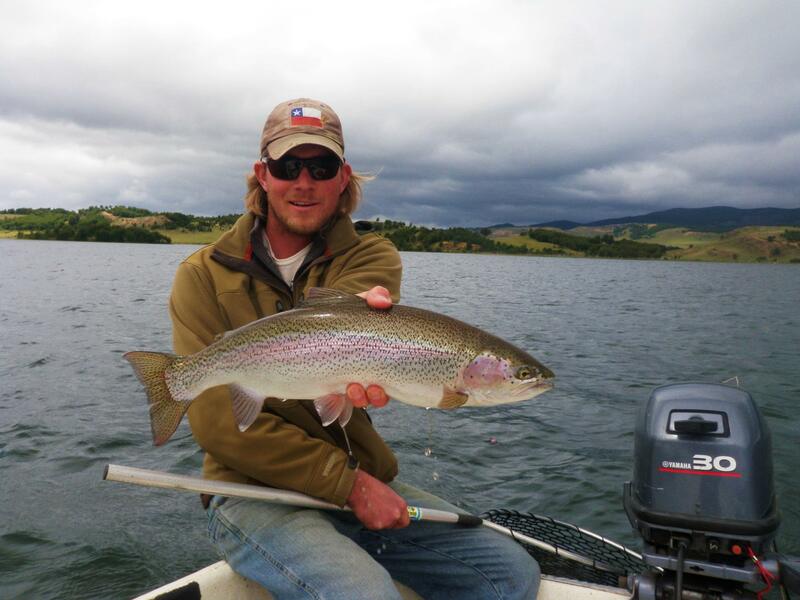 Nick’s knowledge of the river and fishing skills not only impressed us but others on the river as well.